Pack your trunk for the circus and have fun with this fab wooden elephant jigsaw. This colourful 10-piece jigsaw is a great educational toy. As children slot the brightly painted pieces together, learning numbers and colours as they go, they will see a wonderful elephant emerge. Each piece is numbered from 1-10, encouraging counting and colour recognition. 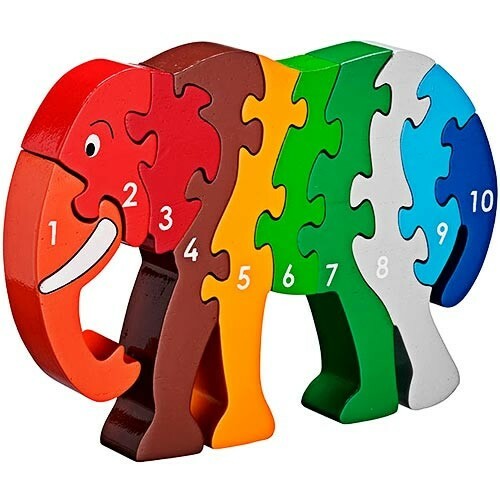 Ethically made from solid rubberwood, this fun jigsaw will soon be a favourite. This jigsaw measures 13.3cm x 19.5cm x 2.5cm.